CALENDAR OF FUTURE EVENTS IN THE DISTRICT ROYAL ARCH CHAPTER OF DOWN. 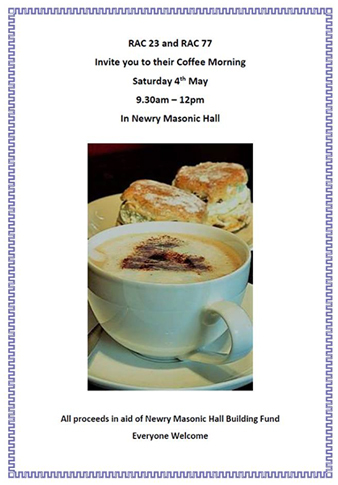 RAC 23 & 77 Newry Coffee Morning on Saturday 4th May 2019 at 2.30 p.m. in Newry MAsonic Hall. 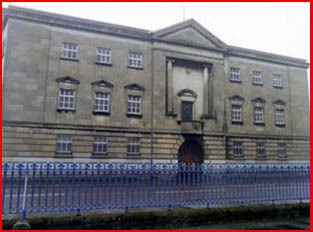 All proceeds in aid of Building Fund. Stated Convocation of the Supreme Grand Royal Arch Chapter of Ireland will be held in Freemasons’ Hall, 17-19 Molesworth Street, Dublin 2, on Wednesday 6th February 2019 at 2.30pm. 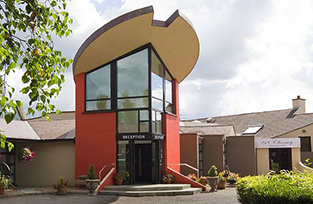 Stated Convocation of the Supreme Grand Royal Arch Chapter of Ireland will be held in the White Horse Hotel, Londonderry on Saturday 4th May 2019.